This beautiful ring is 925 Silver with a "De-ox" alloy to prevent tarnishing like regular Sterling. It has a heavy brushed oxidized finish that has been burnished to enhance the wet look. 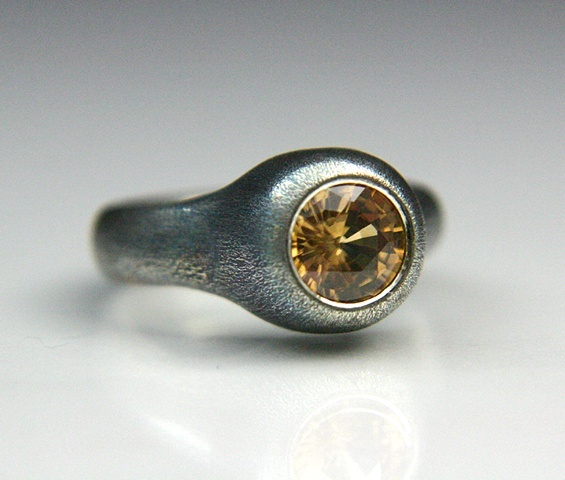 The stone is a very sparkly 9mm Golden Zircon. The photo does not show the rainbow flashes this stone has, it’s truly amazing.